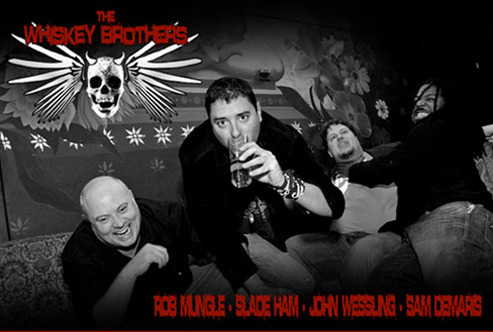 Just four guys from Texas who are hell bent on memorbale nights filled with whiskey, mayhem, and jokes. Seeing them live is like drinking with your best friends, only these guys are funnier. The Whiskey Brothers were not only kind enough to grace us with their presence, but they were generous enough to bring us inside their secret studio. There, we had the opportunity to witness the infamous Whiskey Brothers Podcast in-the-making as they produced their latest episode. Hangin’ with these guys was an experience like no other. What was discussed was highly inappropriate, uncontrollably funny, and overall, wildly entertaining. It’s time to tell the tale. Being that Houston has a large Hispanic community, have you guys thought about being The Tequila Brothers for a night?